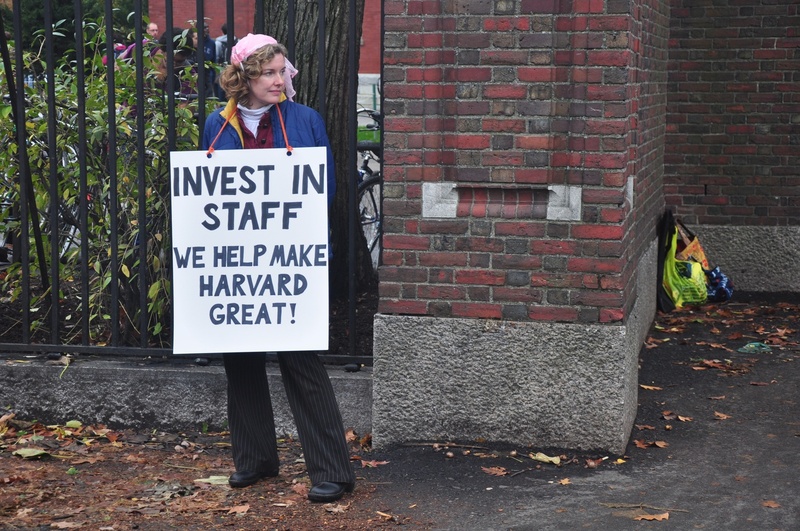 A member of the Harvard Union of Clerical and Technical Workers (HUCTW) wears a sign asking Harvard to invest in its staff in November of 2012. 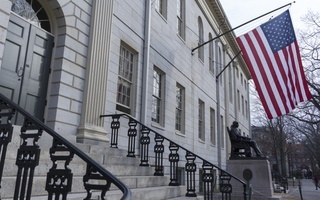 After months of waiting, members of Harvard’s largest union overwhelmingly voted to ratify a new three-year contract with the University Wednesday. 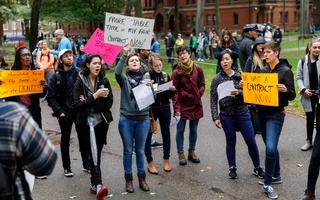 In doing so, the union — the Harvard Union of Clerical and Technical Workers — ushered in several major changes for Harvard’s workers both inside and outside of the bargaining unit, including increased wages for members and a significant shakeup of the policies that have guided the University’s use of part-time workers for decades. HUCTW first faced the University at the bargaining table last spring. They worked through the summer and several weeks past their previous contract’s late September expiration date before reaching a tentative agreement in late October. Ultimately, 94 percent of voters opted to accept the agreement in Wednesday’s election. Around 51 percent of the union’s 5,100-member bargaining unit participated in the vote — a turnout number that HUCTW President Carrie Barbash said she felt was strong, citing long lines at polling locations in Longwood and at Fenway Park. Union members will start to see raises as early as Dec. 21, Barbash said. Members who have been employed by the union for one year will receive a 3.8 percent raise initially; in the second and third years of the contract, the average member will see their pay rise by 3.5 percent annually. Another major change that the new contract will bring is an overhaul of policies dictating the University’s use of part-time workers. A union analysis of University employment data showed that, through loopholes and misclassifications on their payrolls, the University eked out extra work from around 300 of these workers last year without pay. The new contract contains several provisions that attempt to curb this issue, including limits on the hours and durations of employment of some types of part-time workers. These policies will force departments to choose whether to convert part-time positions into full-time union jobs, or double down and continue to hire a series of part-time employees, sending them packing once the workers reach the more stringent limits of the contract’s new policy. The contract’s new part-time work policies will take effect in March, after a 90-day adjustment period elapses. 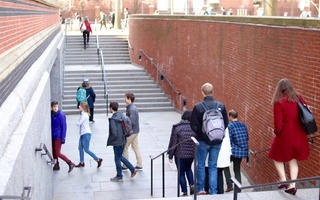 Until then, the union plans to meet with managers and members across Harvard’s schools to “encourage” management to create unionized positions and to ease the transition to the new system, Barbash said. The agreement, which replaces a contract that expired in September 2018, will be binding for the next three years. 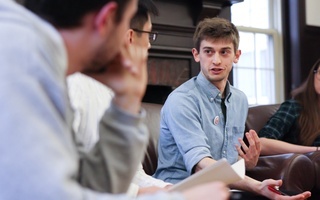 Due to an editing error, an earlier version of this article included an accompanying photo depicting members of Harvard's graduate student union. It has been updated to include an accompanying photo depicting members of the Harvard Union of Clerical and Technical Workers. —Staff writer Molly C. McCafferty can be reached at molly.mccafferty@thecrimson.com. Follow her on Twitter at @mollmccaff.